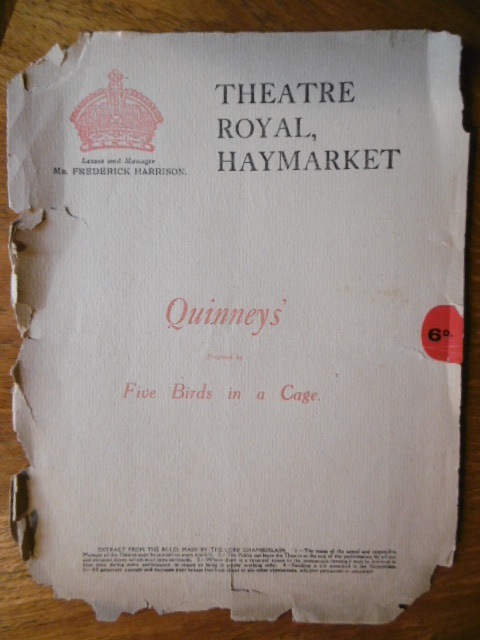 Playbill, ‘Quinneys’, Theatre Royal, Haymarket, 1915. Image copyright, AHRC Antique Dealers Project, 2015. 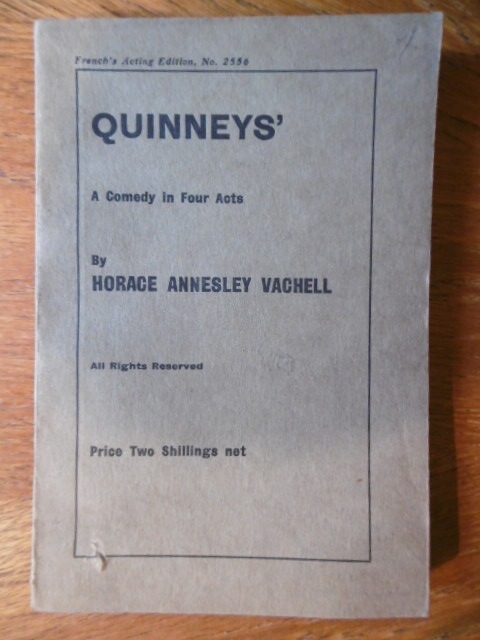 ‘Quinneys’, play script (1915) – 1950s edition. Image copyright AHRC Antique Dealers project 2015. 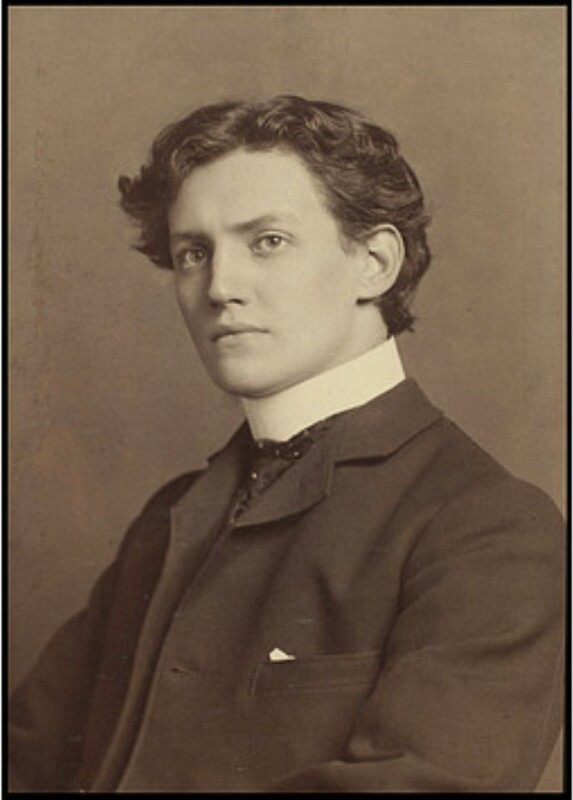 Henry Ainley (1879-1945), British Actor. Image Wikicommons. The playbill lists the actors in the play – ‘Joe Quinney’ the eponymous antique dealer, was played by the well-known Shakespearian actor Henry Ainley (1879-1945) (see above); incidentally he also played ‘Quinney’ in the 1919 film version of the play…and interesting (as far as we are concerned) Ainley was born in Morley, Leeds, West Yorkshire!. Quinney’s wife, Susan, was played by the British film actress Syndey Fairbrother (1872-1941). What is also interesting, for the antique dealers project, is that a number of (then) high profile London antique dealers and interior decorators supplied the antique furniture for the play. 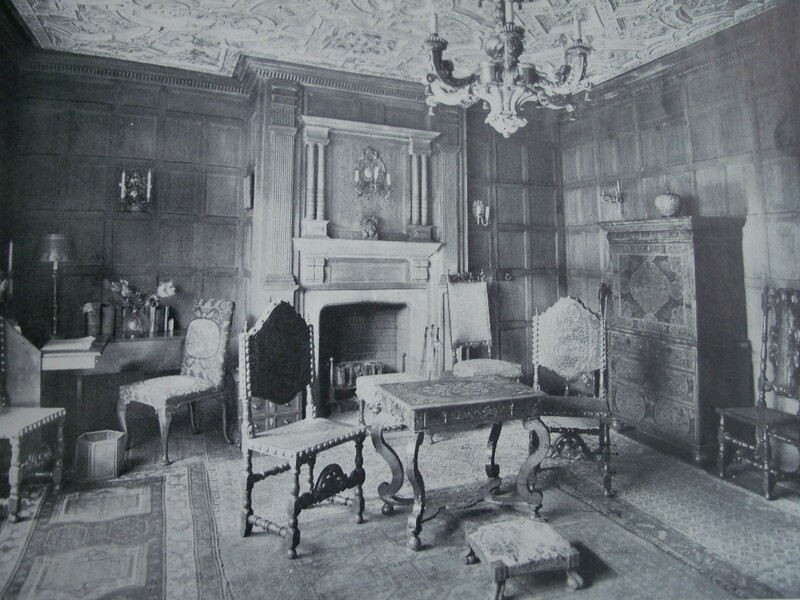 The dealers listed in the playbill were the interior decorators ‘Thornton Smith Limited, 31 Soho Square’; antique dealers ‘Keeble Limited, 10 Carlisle Street’, ‘Parkenthorpe, Ebury Street’, and ‘Spillmans, St. Martin’s Lane’, who are all listed as supplying the ‘furniture’ and acknowledged for their ‘expert advice in this regard’. The project interactive map website, at present, includes entries for ‘Keeble’ – and trading at 10 Carlisle Street, indeed we even have an image of the interior of their shop, dated 1927. Keeble (1914) Ltd, Carlisle Street, ‘Oak Room’, 1927. Parkenthorpe were trading at the time at 79 Ebury Street, as ‘dealers in antiquities’ – see again our project interactive map. The description suggests a display of all of the most fashionable antiques of the period…the ‘Kang He mirror-black bottle’ was of the, then, hugely expensive, so-called famille-noir Chinese ceramics, collected by major figures such as Lord Lever during the opening decades of the 20th century. Quinney/Rohan is certainly becoming a fascinating case-study of the evolving social and cultural identity of the antique dealer!